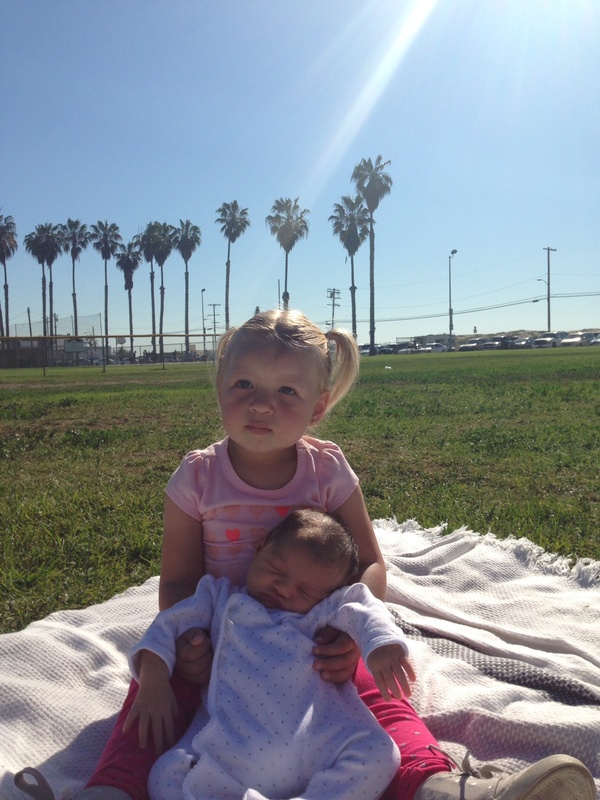 In one of Zoe’s (and my) first real outings, we decided to take advantage of the California “winter weather” with a Family Valentine’s Day picnic at the park. It was the perfect way to celebrate the day, and it felt absolutely fabulous to get out of the house with a change of scenery 2 weeks after Zoe was born. I’m sure all you other moms out there can relate, but now, more than ever, I have a true appreciation for the alone-time a simple shower can bring. It’s not exactly a day at the spa, but these days, it comes pretty darn close. It’s a time with no crying kids (at least I can’t hear if they’re crying) when I get to be alone with my thoughts. I’ve always done my best thinking in the shower (like all of the blog posts I haven’t had any time to write), and I truly relish the “me time”. P.S. No this is not a picture of my actual bathroom… but wouldn’t that be nice?!? This is a glimpse at my daily life. Literally, it’s a screenshot of my phone. I look at this app at least 100 times per day (almost as much as my Instagram feed, which has turned into my primary connection to the outside world)… but I digress. 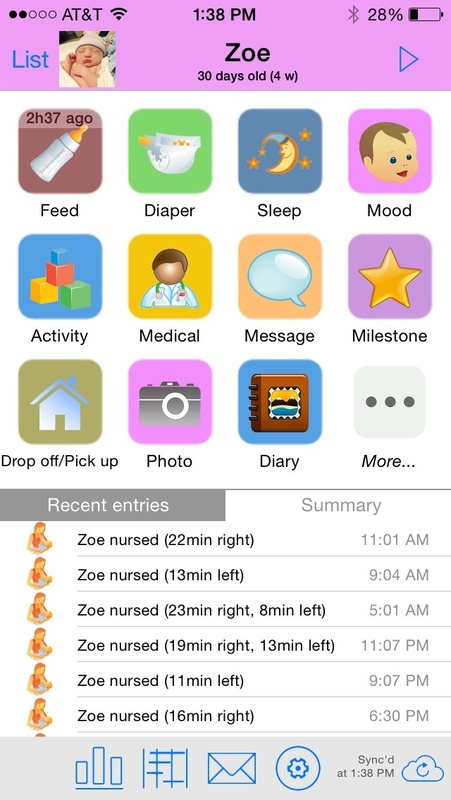 I don’t use all of the features, but it’s the best for keeping Zoe on somewhat of a schedule when it comes to feedings. It took a couple of days, but both I and my hubby have officially re-mastered the art of swaddling. Zoe has already managed to un-swaddle herself a couple of times (this kid seems to have super-human strength… or at least super-baby strength). 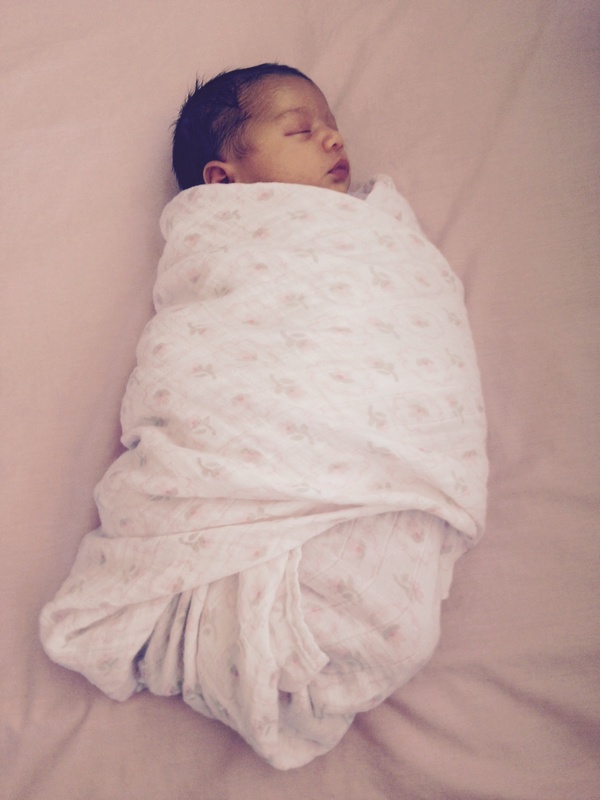 And how adorable is this Swaddle Designs blanket? The best part is that I got it for a bargain price from Nordstrom Rack. I didn’t have a baby shower for Zoe because, let’s face it, I have more than enough baby clothes and baby toys already and since I kept all of Keira’s stuff. We were pretty much set. But, of course I have the bestest friends in the world so they’ve been showering both Zoe and Keira with gifts which is a perfect excuse to get new stationary. As I’m sure all of you 2+ times moms know, making time for baby #1 is one of the more challenging but super important things to do when baby #2 first joins the family. For Keira and I, nighttime story time is a big thing. When I was working, that was really my only quality time with Keira during the week, so it’s become “our thing”. 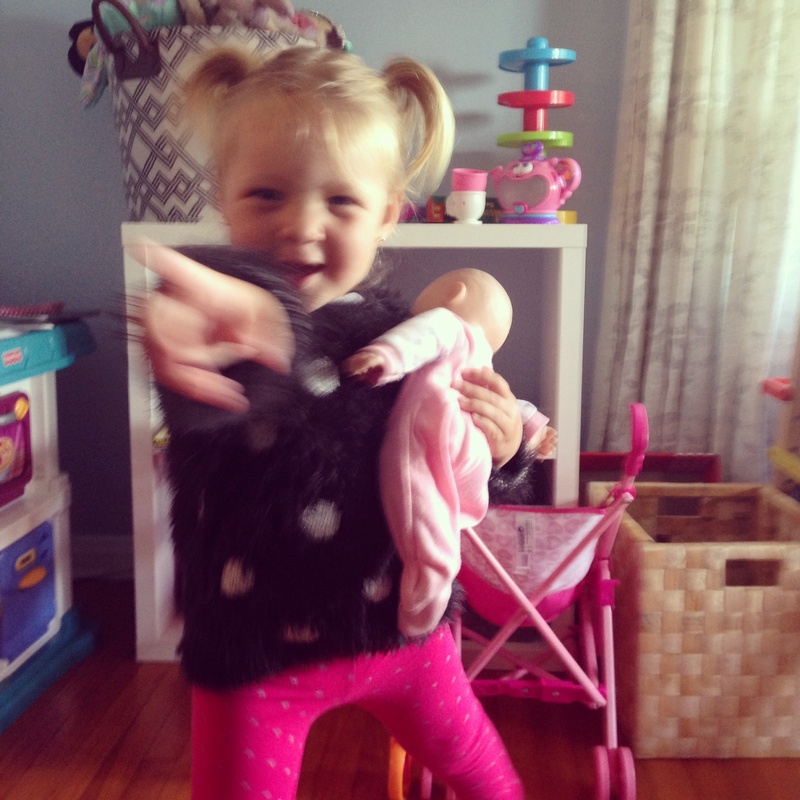 Other things we like to do are going on walks, just she and I, and having our very own dance parties (hence this blurry but adorable picture). As any working mom can attest to, maternity leave is somewhat like a ticking time bomb… each day that passes is one less day you get to spend with your precious babe(s), and one day closer to going back to work. This can cause A LOT of anxiety. I find myself stressing over all of the things I want to get done before it’s time to go back to work. Right now I’m really trying hard to live more in the moment, relax and let myself rest and enjoy this time. So… I’ve pretty much done nothing in the form of exercise since I was 5 months pregnant… and I’m okay with that. But now I’m starting to think about getting myself back in shape. 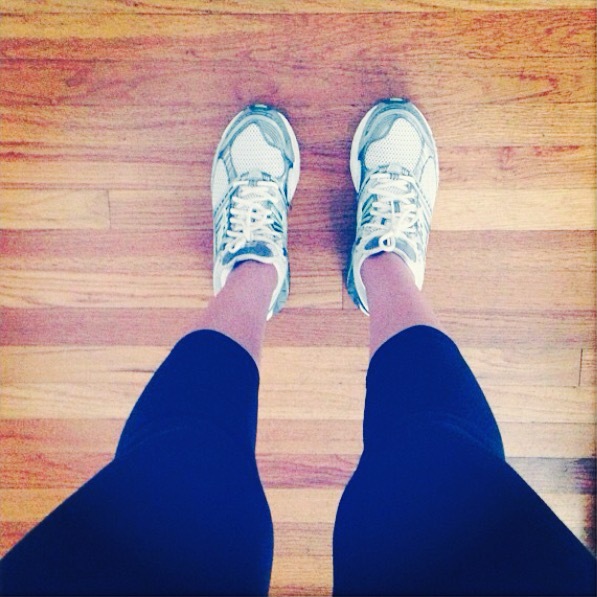 Not sure if this goes along with my “rest” mantra above, but I do believe exercise can reduce anxiety and stress. I’ve been looking to Pinterest for some good post-baby work out ideas. Do you know any? Well, that’s most of what I’ve been up to. I hope to check in again soon.